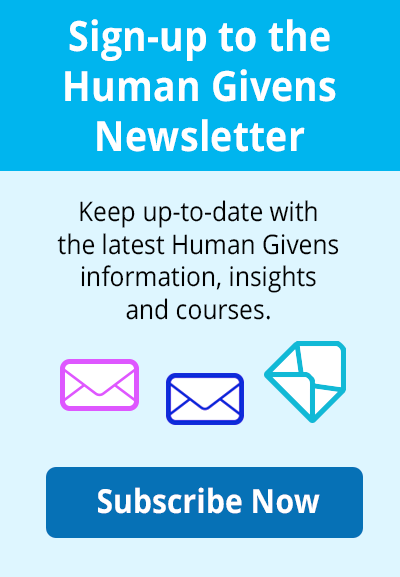 Human Givens Blog: What is different about the human givens approach? 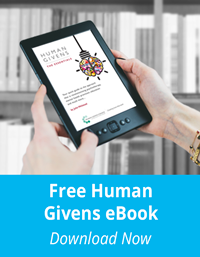 What is different about the human givens approach? There are currently hundreds of different therapeutic models in the world, each claiming to know how to relieve mental distress, thus illustrating that there is a high level of confusion in the field about how best to help people. Yet there is a wealth of scientific knowledge available to us from diverse disciplines — psychology, neurobiology, the social sciences etc. — and much ancient wisdom handed down through the ages, all of which could bring clarity to the subject. Surely, we have enough information available to us to enable us to stand back, see what works and, most importantly, understand why? 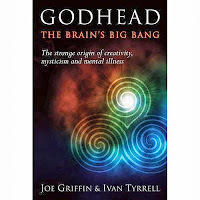 Twenty years ago a group of psychologists and therapists set out to discover exactly that. Looking in detail at why some therapies work (to varying degrees) and others don’t, they attacked the question from a scientific viewpoint, discarding any approach which was dogmatic or hypothetical, or which didn’t agree with the emerging findings of neuroscience. The result was a synthesis of everything that can reliably be said to help human beings function well and be happy. It soon became known as the human givens approach, after the scientifically well-established 'givens' of human nature. Added to this too were remarkable new insights into the purpose of some long-unexplained brain mechanisms — including: why we dream, and how this relates to depression and psychosis, the importance of the REM state, why we are so vulnerable to addiction and the importance of caetextia — which have increased our understanding still further and had enormous beneficial impact for treatment. 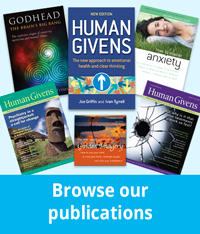 The human givens approach to therapy rapidly showed itself to be a fast, brief and extraordinarily effective way to improve the psychological state of people with problems; bringing down their emotional arousal, reframing and detraumatising their past, re-connecting them with the resources they already have so that they can get on with life. 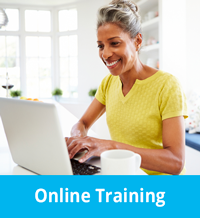 As knowledge of how human beings function continues to grow it is essential for therapists that they never stop learning. The human givens approach to therapy is an open and evolving concept — continually incorporating new knowledge and insights as they come to light — which frees us to see more clearly what really works and why, and makes therapists and counsellors more effective at relieving distress. By helping people move on in their lives as quickly and effectively as possible, using the HG approach has potentially enormous cost-saving implications for our health services and beyond.